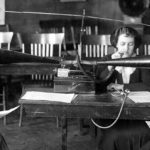 Women around a dictaphone at WSC. 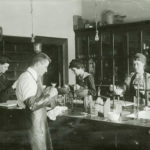 Women and men in a chemistry lab at WSC. A new exhibit, “Ambitions and Intellect: Pioneering Women at WSU,” will explore the stories of early women contributors at the fledgling college. It will run through June in Manuscripts, Archives and Special Collections in the Terrell Library. Hours are 8:30 a.m.-4:30 p.m. Monday-Friday. An opening reception will be 3-4:30 p.m. Wednesday, March 22, in the MASC lobby. Timed to Women’s History Month (March) and WSU’s common reading book, “I Am Malala,” about women’s education in Pakistan, the exhibit highlights women’s determination to get an education and make their mark in society. • Mable Rosella Adams. A member of the local Largent family, she was the first female civil engineer to graduate from Washington State College in 1928. She went to graduate school at WSC and earned a master’s degree in chemistry. A homemaker after her marriage to Arthur Smith, she returned to engineering during World War II when she worked for Boeing. • Josephine Hoeppner Woods. Born to German immigrants, she was the first woman to earn a graduate degree from WSC in 1908. She started in the School of Pharmacy in 1898, graduating in 1899. 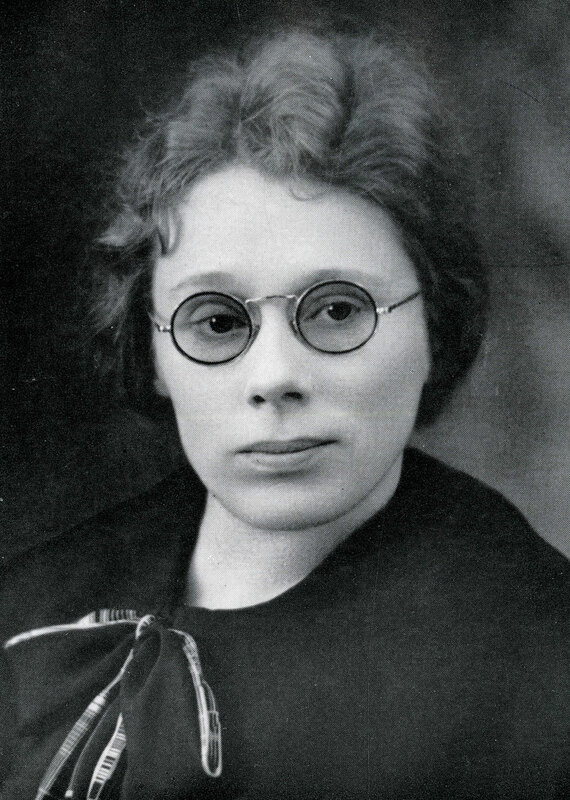 She graduated in chemistry in 1903 before moving on to graduate work in modern languages. • Ida Louise Anderson. After graduating from WSC with a degree in speech, she became a beloved professor at her alma mater, mentoring hundreds of students in broadcasting, including famed alumnus Edward R. Murrow. She struggled all her life from debilitating pain after contracting polio as a child and was forced to retire early from WSC, dying at the age of 41. • Neva Martin Abelson. A 1934 WSC graduate in chemistry, she overcame several obstacles to pursue higher education, including early opposition from her father. 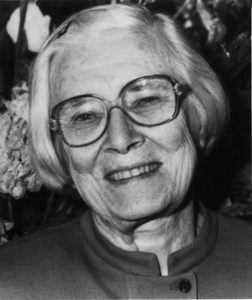 She was one of eight women to earn a medical degree from Johns Hopkins University in 1942 and, with Dr. Louis K. Diamond, went on to develop the Rhesus factor test for newborns. • Gladys Edna Cooper Kidd Jennings. She was the first African American woman and person of color to earn a master’s degree from WSC in 1948. After receiving a Fulbright Fellowship, teaching and chairing at several universities and serving as a hospital dietitian, she returned to teach at WSU in 1966. 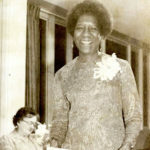 She was instrumental in many multicultural student programs and equity and diversity initiatives.